On March 2, 1819, the Arkansas Territory was authorized by an act of Congress, to take effect on July 4, 1819. The Arkansas Territory was created from the portion of the Missouri Territory. It originally encompassed all of what is now Arkansas and much of what is now Oklahoma. The westernmost portion of the territory was removed on November 15, 1824, a second westernmost portion was removed on May 6, 1828, reducing the territory to the extent of the present state of Arkansas. The Territorial capital was Arkansas Post from July 1819 until June 1821. At that point in time it was moved to Little Rock. In 1819, there was no permanent settlement in Little Rock. It would not be until early February 1820 that a permanent settlement would be established. On 1818, the Quapaw Treaty had anticipated a future settlement in Little Rock. On January 30, 1836, a convention was held in the Arkansas Territory for the purpose of adopting a constitution which would be submitted as part of a request for statehood. While later known more as a punchline due to personal fallibilities, for decades Wilbur D. Mills was one of the most powerful men in the world. As the chair of the House Ways and Means Committee from 1958 to 1975, he was the architect not only of an overhaul of the tax code, but also determined ways to finance Medicare, Medicaid, and many other federal programs of the Eisenhower, Kennedy, Johnson, Nixon and Ford years. Wilbur Daigh Mills was born in Kensett on May 24, 1909. When Mills went to Congress at the age of 29, he was the youngest man elected to that time. A scant four years later he joined the Ways and Means Committee. President Kennedy’s visit to Little Rock and Greers Ferry in October 1963 was the result of bargaining with Congressman Mills over some tax policy. Mills gave in to JFK a bit, and JFK agreed to come to Arkansas to speak in Little Rock and at the dedication of two dams. In recognition of his national clout, Mills was briefly considered a contender for the 1972 Democratic nomination for President. Though he probably struggled with alcoholism for years, he had been able to keep his behavior in check until 1974 when his car was stopped in Washington DC for not having its headlights on. Though Mills was not driving, he was inebriated. Another occupant of the car, a stripper with the stage name Fanne Fox ran from the car and frolicked in the Tidal Basin. It became fodder for worldwide headlines. The incident happened about a month before Election Day, when Mills was facing Republican Judy Petty. A contrite Mills spent the remaining days in the campaign in Arkansas and won re-election by 59% of the vote. (Though later in November, he again was in the headlines when Fox pulled him on stage with her at a club in Boston.) In January 1975, he stepped down as Ways and Means Chair. In 1976, he opted to retire from Congress and did not seek another term. In retirement, he practiced law in Washington DC before eventually moving back to Kensett full-time. He died in 1992. The Territorial capital was Arkansas Post from July 1819 until June 1821. At that point in time it was moved to Little Rock. In 1819, there was no permanent settlement in Little Rock. It would my be until early 1820 that a permanent settlement would be established. On 1818, the Quapaw Treaty had anticipated a future settlement in Little Rock. ﻿Today at noon at the Clinton School, former Congressmen Martin Frost and Tom Davis will discuss their book The Partisan Divide: Congress on Crisis. While the authors, Martin Frost and Tom Davis, share many common viewpoints, they come from opposite sides of the political spectrum. 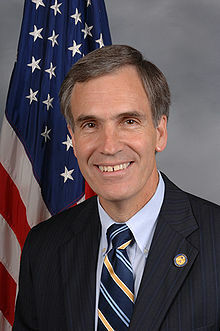 Tom Davis served in Congress from 1994 to 2008 representing Virginia’s 11th district. During that time, he chaired the National Republican Congressional Committee for two cycles (2000 and 2002), and was chairman of the House Committee on Government Reform and Oversight before retiring, as he likes to say, “undefeated and unindicted” in 2008. Martin Frost represented the Dallas–Ft. Worth area of North Texas in Congress for 26 years, serving four years as chairman of the Democratic Congressional Campaign Committee and four years as chair of the House Democratic Caucus. According to Frost and Davis, Congress is incapable of reforming itself without a good kick in the seat from the American public. They dissect the causes of legislative gridlock and offer a common sense, bipartisan plan for making our Congress function again. The preface by Pulitzer Prize finalist David Eisenhower, grandson of President Dwight D. Eisenhower, sets the stage for this powerful behind-the-scenes narrative that uncovers the road to the present political gridlock and then offers thought-provoking insights and possibilities for the way out. With government shutdown, debt ceiling limit, continuing resolutions and other congressional contentions becoming hot topics for the general public, the Clinton School is featuring a speaker tonight at 6pm who has been in the halls of Congress. This evening Congressman Tom Allen speaks about his book Dangerous Convictions: What’s Really Wrong with the U.S. Congress. In his book “Dangerous Convictions,” former Congressman Tom Allen argues that what’s really wrong with the U.S. Congress is the widening, hardening gap in world-views that leaves the two parties unable to understand how the other thinks about what people should do on their own and what they are able to do together. Allen represented Maine’s 1st congressional district from 1997 to 2009. He was first elected by defeating incumbent James Longley Jr. In 2008, he challenged incumbent Senator Susan Collins and was defeated. Since then he has served as president and CEO of the Association of American Publishers. Prior to serving in congress he had been a member of the Portland City Council, served as Mayor of Portland and ran for Governor of Maine. The program will take place at Sturgis Hall. *Reserve your seats for both programs by emailing publicprograms@clintonschool.uasys.edu or calling 501-683-5239.